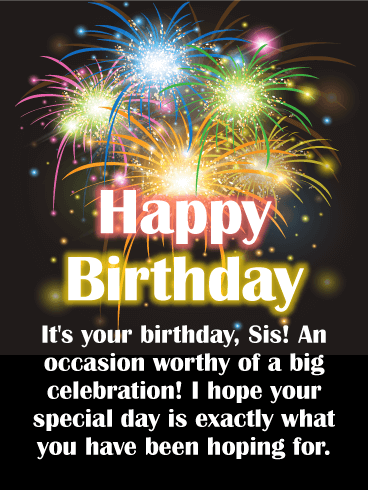 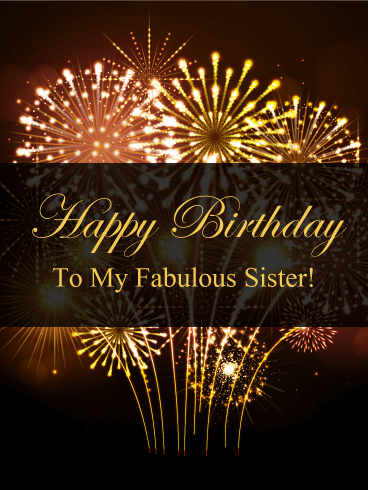 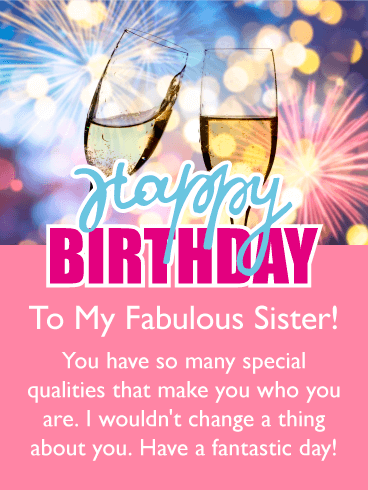 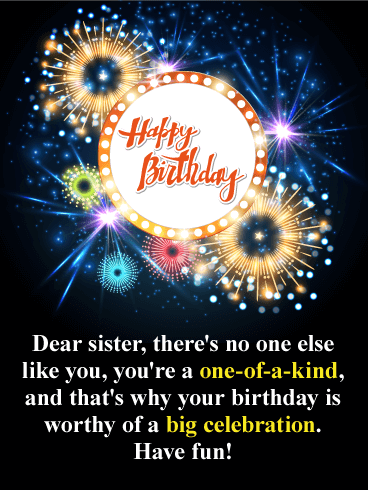 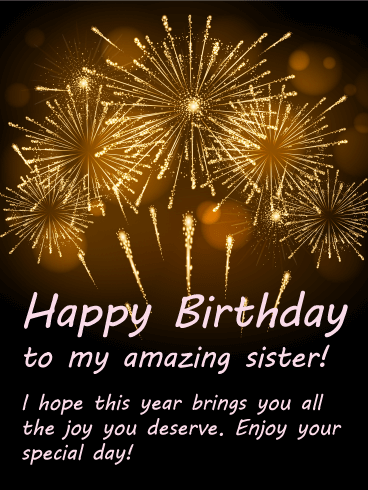 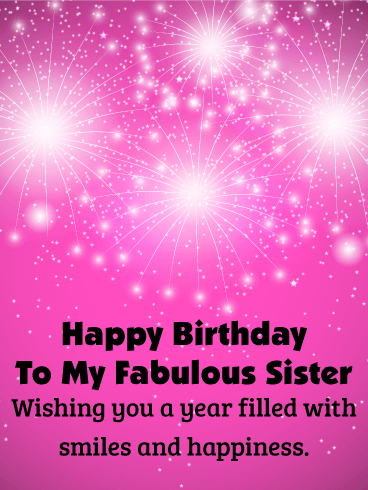 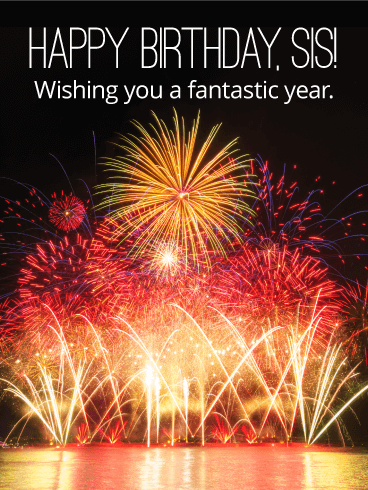 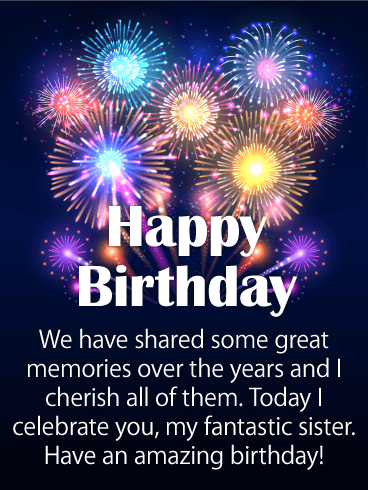 If your sister loves to celebrate her birthday in a big way, this birthday card is definitely the one to send! 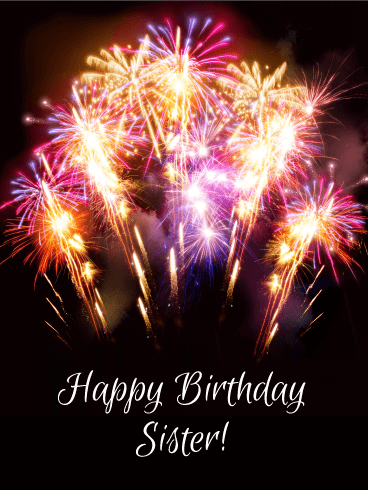 Bright fireworks burst in the night sky, creating her very own celebration, which is amazing in every way, just like she is! 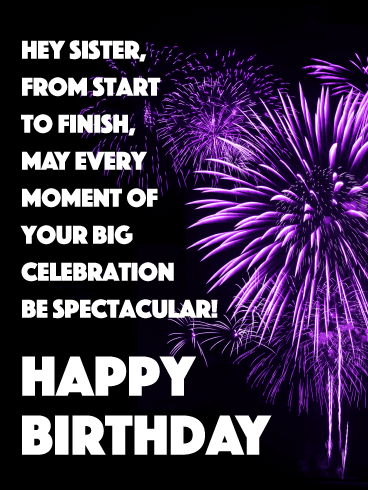 Wishes for a fantastic year ahead really make this greeting extra special, especially since they're coming from someone who loves her so much!